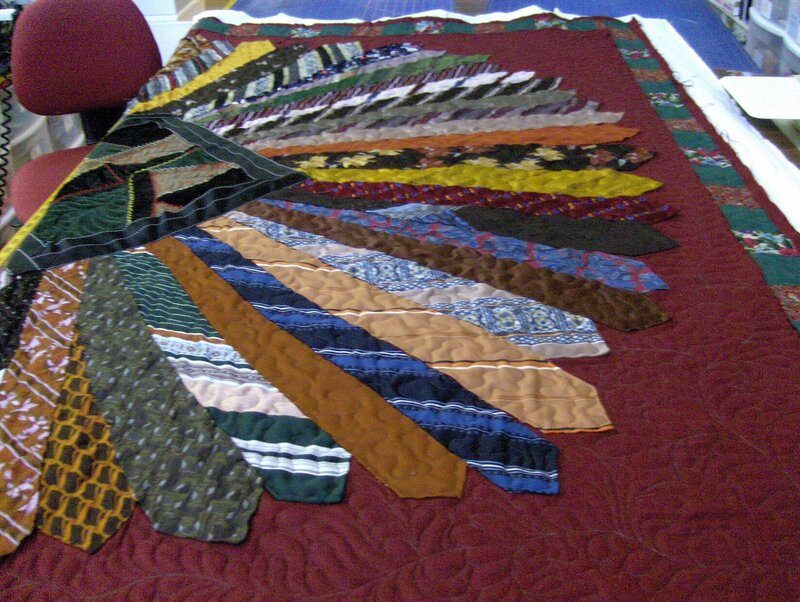 This is today’s finished quilt. I had to fight it every step of the way because I could barely get my hopping foot to go in certain areas. It wasn’t what I wanted to quilt on it, just the only thing I could quilt. It had very thick places that wouldn’t have worked in a design. I’ve been thinking of ways I can improve my blog. I did learn to add a list to the side bar and how to add a link; but, I want to learn more. I really like the way Bonnie Hunter (the other) has two blogs. One for everyday journal and one for quilt patterns. I’m thinking I could do two also. Now is just not the time for sitting, reading, and learning about blogging. I’ve also been thinking of ways to improve my quilting business. Some would think reorganize, I think improve. Although I believe the two words are interchangeable. During the Christmas rush is really not the time for making changes or reorganizing. It’s the time for concentrating on getting as many quilts finished as possible before Santa makes his famous sleigh ride. There is quite enough stress finishing the Christmas quilts; it doesn’t make sense to add more stress by trying to reorganize right in the middle of a rush season. The Christmas rush is the time to see what isn’t working. If something bothers you during this time – say for example – you don’t like the position of your intake table – or you don’t like how your threads are organized – make a note to change it in January. January is actually the time for reorganizing or improving. January is the time when all kinds of organizing things go on sale. So, during the rush I make notes. Lots of notes about what isn’t working as well as I want and possible solutions to improve it. I have a note pad next to my quilting machine. As I think of some problem I make a note. The notes are not organized in any form just yet, I can do that later. For now I only make notes….. time to go to work. I agree – although I am always inspired to re organize when I am the busiest – why is that??? 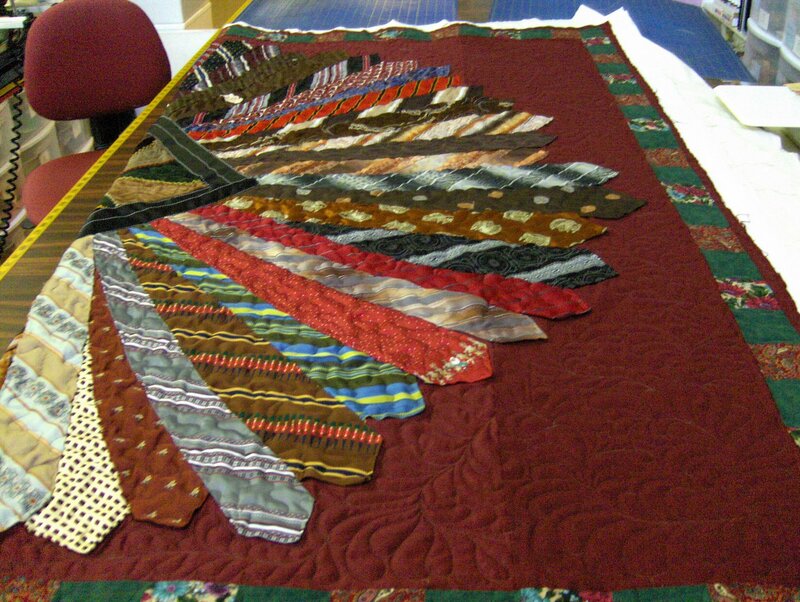 This entry was posted on October 1, 2007 by Anita in Memory quilts 2007, QUILTS - CLOTHING AND T-SHIRTS, QUILTS - ORGANIZING.